Asda wasted money shouting at customers who weren't listening, according to Claire Harrison-Church, the vice president for marketing and own brand at Asda. 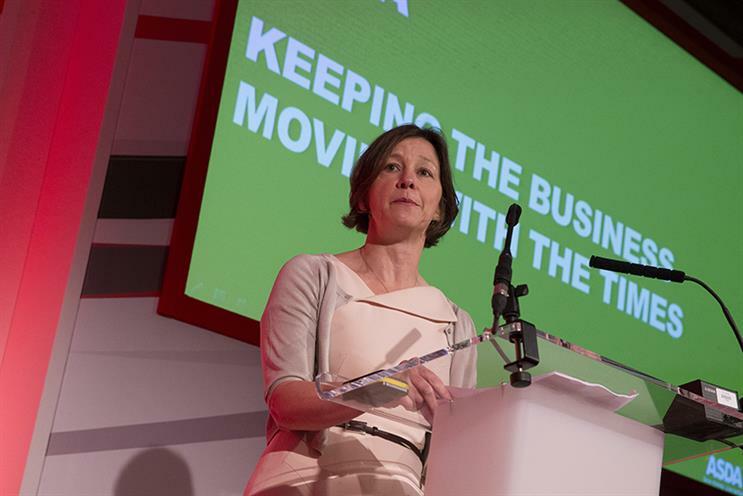 Speaking at the Media360 conference event in Brighton this morning, Harrison-Church said Asda now focuses on what the customer wants, instead of competing with the other major supermarkets. Harrison-Church explained that Asda is now "championing" what is best for its customers, such as offering varifocal lenses at cost price (£40), and making it easier for customers to pick up their groceries when it is convenient for them. She also said Asda is making the most of mobile as it is a "big opportunity". The supermarket is targeting different content at people who are in or nearby a particular store. "This is more and more something we do in our stride rather than something new," Harrison-Church said. Harrison-Church said her "biggest challenge" is to help our teams and agencies to get to an overall comms plans that makes sense and working out how to work with agency partners to achieve that. Ounal Bailey, the director of strategic consumer innovation at Britvic, also spoke about how she developed innovation for the brand by introducing Squash’d, a concentrated squash that people can carry in their bag. Bailey explained that creating positive advocators within the business, having people leading the agenda, using a "can do" mindset and having senior management buy-in has been key to developing the new product. She said: "Squash was an area we needed to reinvigorate. This may just look like a smaller version, but the best innovations are simple, just executed brilliantly. "Innovation takes absolute blood sweat and tears, and sometimes bloody mindedness."